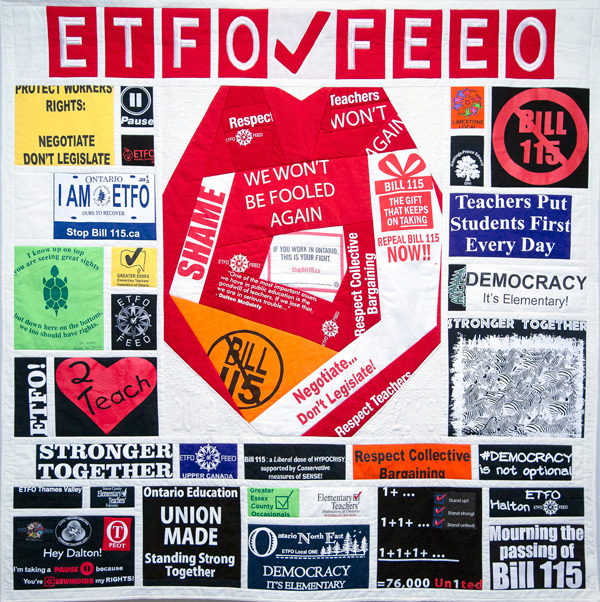 The Toronto District School Board says cuts in funding by the Ford government will result in a thousand fewer teachers from grades 4-12. Of the projected 1,016 job losses, 216 are projected to occur in the elementary system, according to a report from Global News Toronto. 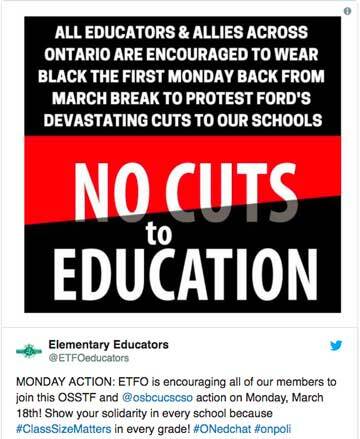 ETFO urged members to join high school teachers in wearing black to school on Monday to protest the latest Ford government cuts. For further details, please visit this link at Global News Toronto.